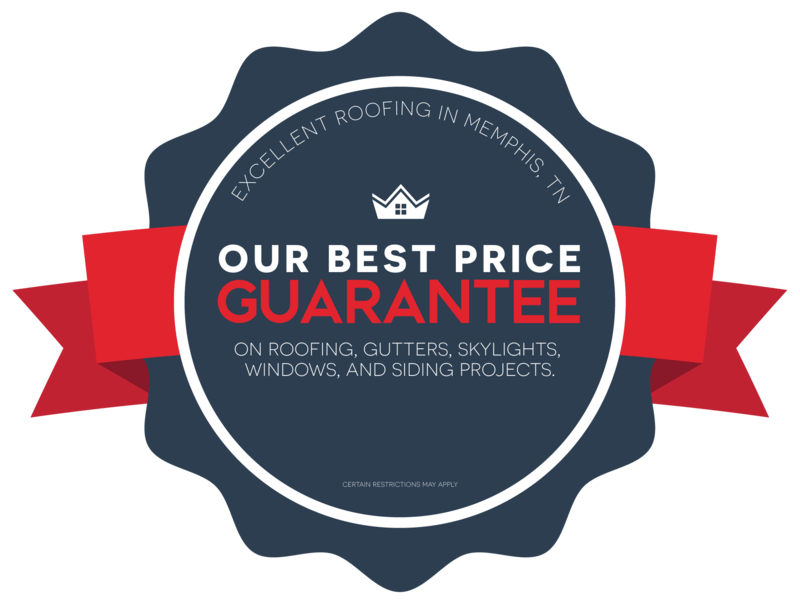 Our customers have made us the highest rated roofing contractor in the Greater Memphis Area. This is because, in addition to superior quality and care, we offer each of our customers the Best Price Guarantee. And, this is a promise we stand behind: If you receive a quote from a licensed contractor using the same quality materials, we guarantee that we'll match that price. What should you consider when comparing estimates? Comparing products and services on an estimate with an “apples to apples” approach is important. Be sure you ask to see a copy of the contractor's license. Be sure it's valid and up to date. Is your contractor using the same high-quality materials backed by a manufacturer certification? What are the warranties being provided by the estimate you've received? Is it backed by the manufacturer providing the materials? Many things determine how a roofing contractor prices a project, including labor costs, and even right down to the specific types of material and accessories the contractor may be installing on the roof. A written copy of the competitors estimate using the same scope of work and material used. Excellent Roofing wants to ensure every customer we are giving the best quality roof or any other service at the best price. And we truly feel that we are every homeowner and business owner’s best choice in selecting a quality contractor in regards to workmanship, quality materials, attention to detail and cleanup. The best price doesn’t always mean the lowest price, or cheapest price, but we challenge you to find the best quality work at the best price!